I’m already dreaming about lazy days by the pool. Even though we have barely had a winter here in Los Angeles, I am ready for the relaxing summer months. And wouldn’t Mexico and the Caribbean be the perfect place to start? 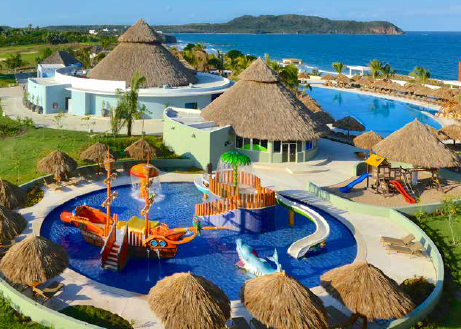 Just in time for summer, Iberostar Hotels & Resorts has a new offer that allows kids stay free. Kicking off the 2014 travel season, the resort company is offering a new, kids stay free deal on vacations to Mexico and the Caribbean, available at select all-inclusive resorts. When visiting with two adults paying full price, up to two children can enjoy a free stay (varies by property). This promotion is valid when booked from Feb. 28 through April 30, and is valid for travel from May 1 to Dec. 23. Blackout dates may apply, June 22-Aug. 16 and Nov. 22-29, except for at the Iberostar Playa Mita. During blackout dates regular children’s rates will apply.